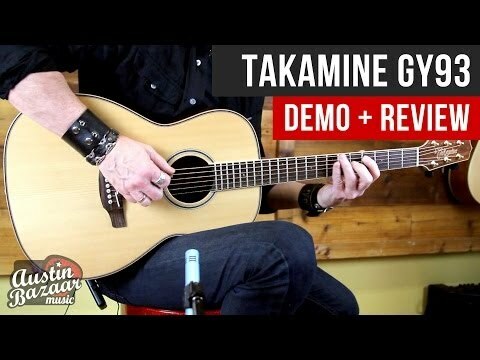 Featuring Takamine’s parlor-style New Yorker body, the petite GY93 acoustic guitar offers a solid top and special back construction, giving it an upscale feel and distinctive sound. For players seeking the focused, articulate sound that this increasingly popular body style offers, the GN93 features a solid spruce top, rosewood sides and a stunning three-piece rosewood/quilt maple back. The slim mahogany neck and 12”-radius bound rosewood fingerboard provide great feel and playability, while the split-saddle design of the rosewood bridge provides superior intonation for sweeter-sounding chords and single-note runs.